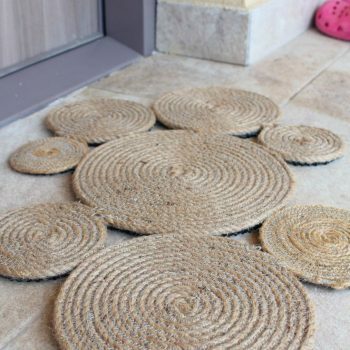 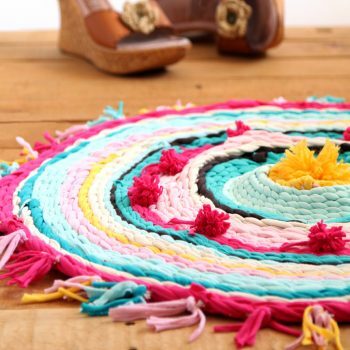 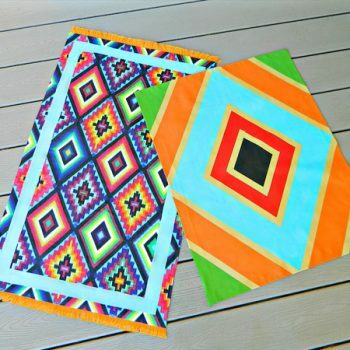 Turn old t-shirts into a pretty rug! 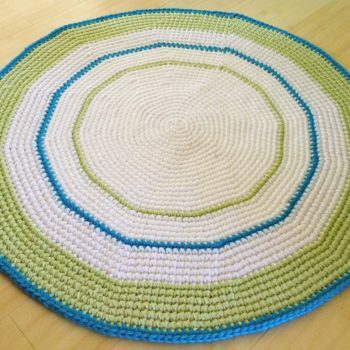 It’s easy to do, using cardboard or a hula hoop as the loom. 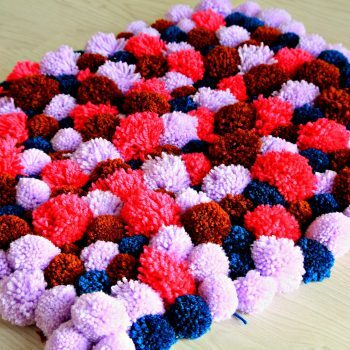 Sink your feet into this soft and cozy pom pom rug! 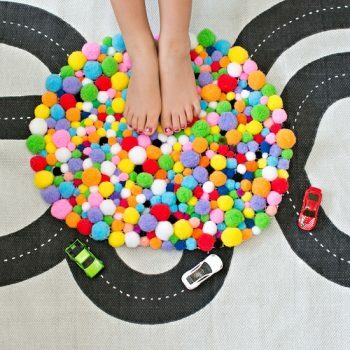 It couldn’t be easier to make.